The UK and France have failed to agree a deal to end a dispute over scallop fishing in the English Channel. Crews clashed in the waters last month over laws that allow British boats to gather scallops year-round, but places restrictions on French vessels. The two sides had agreed on the principles of a deal earlier this week, but were unable to finalise it during negotiations on Friday. A government spokeswoman said discussions were continuing. Further talks have been proposed for Tuesday, but the meeting has not yet been confirmed. 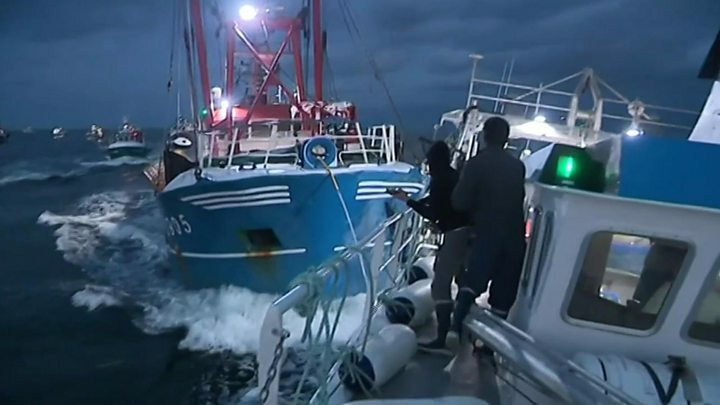 Tensions rose over scallop fishing in the Baie de Seine in August when 35 French boats confronted five British craft off the coast of northern France, with reports of stones and smoke bombs being hurled at UK fishing crews. A French local government spokesperson, Ingrid Parrot, said: "Things were thrown on both sides." The row stems from laws that allow British boats to legally forage in the area all year round, but French law bans their crews from the area between 15 May and 1 October to conserve stocks. There is an industry-wide agreement that British vessels larger than 15m are not allowed in the area, but smaller boats could still forage. 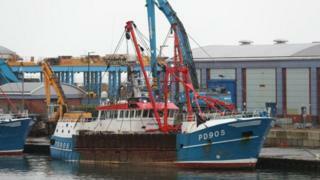 As a result, French crews have accused the British of depleting shellfish stocks. At a meeting in London this week, it was agreed that smaller UK vessels would not fish in the area during the period that French laws prevented their counterparts from doing the same. But British crews said they would only agree to this if they would not lose out financially and were compensated. A meeting in Paris on Friday saw the deal fall through. Mike Park, chief executive of the Scottish White Fish Producers Association, told the BBC that both sides tried hard to bridge the gap at the meeting but there was a "significant way to go". He said: "There is a feeling of disappointment because we agreed the main terms of the deal in London earlier in the week and we thought we were going to Paris just to shake hands and that would be it. "But from the very start, it became obvious that the French understanding of it was very different from ours." He said they were hoping to reconvene on Tuesday to "find a solution". "I think there is now a will at government level to try to resolve the issue, so I think we can make it work," he added. "But the next round will be the telling round because if that doesn't provide a solution then I think we will have difficulty." A statement from the Department for Environment, Food and Rural Affairs said the talks were "making progress". The spokeswoman added: "Discussions are continuing and we are looking at next steps."